This "karaoke in a microphone" system is small and extremely portable. You can carry it from party to party. Just hook it to a TV or better yet - a music sound system home theater and you are ready to sing with your friends. The sound quality is acceptabe, but not great, as noise could clearly be heard behind the music background. The music reproduction of this system is not close to the original version of your favorite songs. 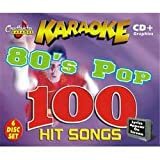 Traditional karaoke has two major modes: listening (allow you to hear the song with the demonstration singer(s)'s vocal to familiarize yourself with the song) and the singing mode (with music only or music and back up singers' vocal so that you can sing as a lead singer). 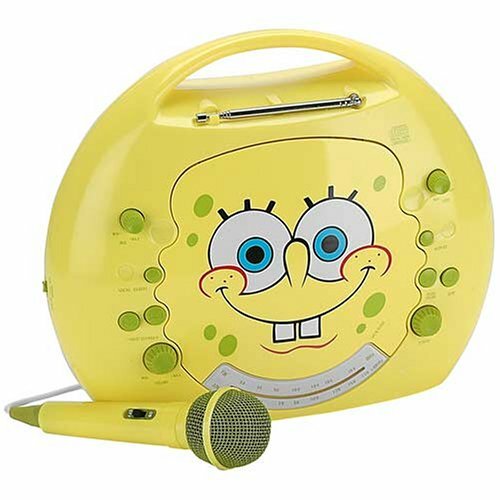 This portable karaoke system, however, only has one mode which is the singing mode. Therefore, you must be familiar with the songs in order to sing them. Even in this singing mode, you will not get back-up singer's vocal. So if the original version of your favorite song has back up vocal (voices of people that sing on the background to assist the main singer in bringing the songs to climax or adding harmony to the songs. 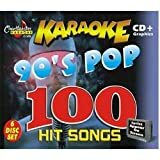 e.g music of Whitney Houston, Mariah Carey, Celine Dion, Marc Anthony) or if the original version is a duet or group performance (Barbara Streisand and Bryan Adams duet; Nsync; All for One, Boys2Men, Backstreet Boys), you will not be able to sing by yourself. If you do, your "production" will sound really flat or lose its flavor as there's no back up vocal to "sing" along with you. One good thing about this system is that you can adjust the music volume, microphone volume, the melody presence, and the pitch (high/low music tones/notes). Pitch adjustment is a great feature of karaoke. 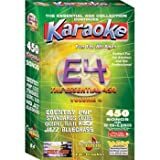 You can add up to four additional song/music cartridges into this microphone; however, be sure to test the compatibility as this microphone may not work with some music cartridges, e.g. Alternative Rock Vol 2 due to manufacturing defect with some units. Many of the songs cannot play. You can add a second (wireless) microphone although the sound of this extended mic is not great. One excellent feature of this system is it can grade your perfomance although the grading sometimes is not accurate (it gives you high scores although you don't sing close to the original version and make many mistakes). If you have a group of friends, this scoring feature will allow you and your friends to enter into a fun karaoke competition. Great fun for a great price. 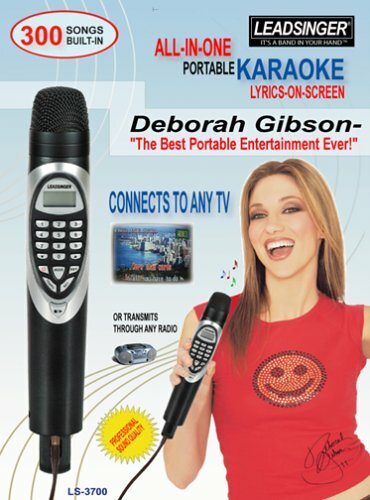 The last review says, quote "Great portability but can't compete with traditional karaoke" and gives it 2 stars? What a joke. 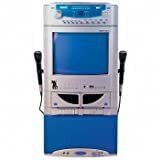 Of course it can't compare to traditional karaoke system, that's because the Leadsinger costs UNDER $120, as opposed to a "traditional karaoke" machine tha cost $400+ min! "sigh"
Anyways, my experience with Leadsinger is pretty positive. 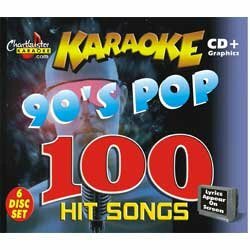 I bought the unit for my girlfriend, who is a karaoke junkie. Now we fight over whos turn it is to sing. She had a older karaoke machine that just can't compare with the Leadsinger. Why? Portability: The system can easily fit in a small bag that allows us to take it to friends, to parties, everywhere. Her old system was a five pound boom box that was cumbersome to transport. Songs: The only negative thing that I noticed was that all of the guitar parts are played with a cheesy keyboard. As a guitar player, listening to the Eddie Van Halen solo on Micheal Jackson's 'Beat It' on a goofy keyboard is pretty dreadful. But friends have told me that replacing the guitar with a keyboard is pretty standard for karaoke. Other then that, the songs are pretty decent. My favorites are the Beatles, Elvis, and Queen. A friend bought his Leadsinger in the Phillipenes and his came with Radiohead's Creep & Cures Boy's Don't Cry which would have been nice to have on this version, but they aren't. 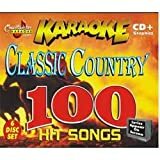 Adding songs: I have not bought the chip with additional songs yet(hopefully there will be no trouble with adding the chip), but just the idea of getting 100 or 150 additional songs for $50 or so it exciting. 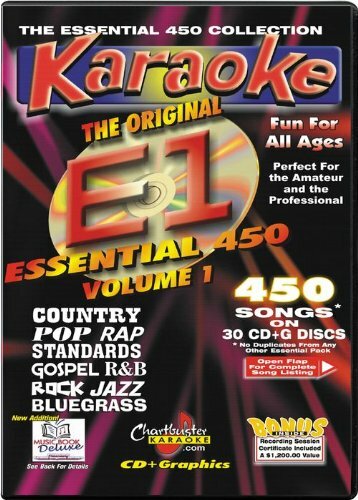 My girlfriends older karaoke system charged $15 for a cd with 12 or so songs. Having to switch cds that contain only 10 songs would get old really quickly. Is it good for children? I think it would be. None of the 'older'songs are offensive, and it seems to have plenty of childrens songs like Twinkle Twinkle Little Star, and your kid will be the first (or should be) on his block to be belting out the Beatles 'Yesterday' or Queens 'Bohemian Rhapsody'. get it. 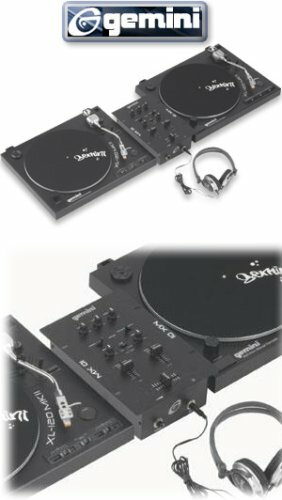 Plus that this is a great price I have seen them just like this for well over $400 yep. Bad memory chip or bad mic? 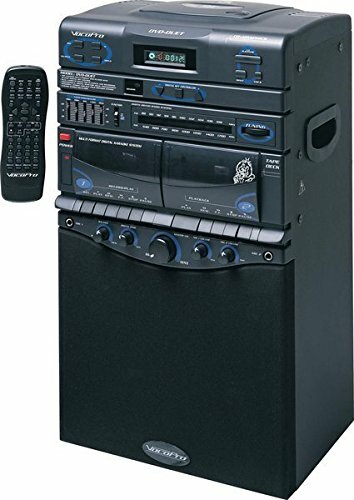 I purchased the Leadsinger 3700 along with the 80's pop rock and the Teens 2003 musikartridge's.It all worked nicely until trying to access the songs on the Teens 2003 chip.The titles of all the songs would show on the screen but when pressing play, the unit would either turn off or it just wouldn't work.I tried relocating the chip into the other memory slots and the same problem occured.Since I had no problems with the other music chip or the built in songs, I concluded that the Teens 2003 chip was just a bad one.After exchanging the chip for another one, I had the exact same problems.This time I'm returning everything.It's not worth the hassle. Form and Function at it's best! Region Free DVD player allows playback of DVD from all regions of the world. Includes AM/FM Stereo Radio and Professional Style Microphone.Has Variable Eco Control to create Vocal Special Effects. Vocal Control Function allows you to suppress voices from a Pre-recorded, CD+Graphics Disc. Audio/Video Outputs and RCA type cables for Connection to your TV. Mic Input Jack with volume control, Stereo Headphone Jack, and Twin, Built-in 3" Speakers. 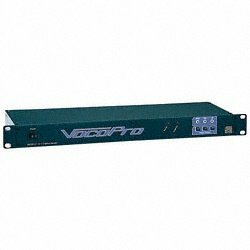 VocoPro's DVD-Duet combines the best features of its semi-pro karaoke systems with a multiformat CD/DVD player, giving users a near complete home AV setup. 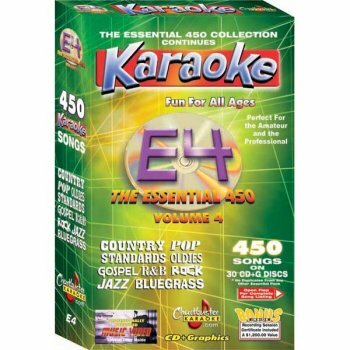 Compatible with almost any disc format, the DVD-Duet lets users sing along with their CDG and VCD karaoke collections, listen to MP3 compilations or the radio, play old-school tapes on the dual cassette deck, watch DVDs on a connected TV or video monitor, or even play a slideshow of JPEG photos. The 80-watt system also supports HDCD, CD-R, and CD-RW formats and includes a quartet of two-way speakers that are robust enough for most applications--all in a mobile package that adapts to home, car, or boat use. The DVD-Duet is even outfitted with shock-resistant housing, so jostles from a speed bump won't disturb playback, though an adapter is required for vehicle use. It's as a karaoke machine that the DVD-Duet really shines, though. The device comes with two professional microphones with separate volume controls, inviting users to sing independently or as a duet. Adding to the fun is the 12-step digital key controller, which changes the key of your preferred background music (regardless of the source) to match the natural range of your voice. So whether you're mimicking Eddie Vedder or Edie Brickell, the DVD-Duet helps you sound like a pro--or at least keeps you from embarrassing yourself. In addition, the device includes a five-band graphic equalizer that lets you fine tune the tone to fit anyone's taste. The VocoPro left room for expansion as well. Users can use the pre-out jacks to connect an external speaker system, resulting in a bigger overall sound. The DVD-Duet measures 12.25 by 21.5 by 9 inches (W x H x D) and carries a one-year warranty.